Salem, IN (May 18, 2016) – The ARCA/CRA Super Series Powered by JEGS will head to the fast 1/2 mile semi-banked paved oval of Baer Field Motorsports Park located in Fort Wayne, Indiana this Saturday, May 21 for the running of the Summit City 100. The track returned to the ARCA/CRA Super Series schedule last season after not racing there since May 22nd, 2011 when Brian Campbell scored the win in Asphalt Wars 100. There have been 15 ARCA/CRA Super Series races at Baer Field dating back to the first race on June 26th, 1999 won by two-time Series Champion, Brian Ross. Three-time Series Champion Scott Hantz has five of his 31 career wins at Baer Field Motorsports Park, while Eddie Hoffman has been to victory lane twice. In addition to Campbell and Ross, a pair of short track legends, Fort Wayne’s own Larry Zent and Canadian Junior Hanley have a win apiece. 2005 Series Champion Jeff Lane, 2004 Series Champion Chuck Barnes Jr. and J.R. Roahrig also have one win apiece. In last season’s event, Grant Quinlan got his first ever series victory on his way to winning both the series Season Championship and the Senneker Performance Rookie of the Year Award. Topping the list of CRA drivers entered for Saturday’s race is current series Championship point’s leader Cody Coughlin, who has two straight series victories, winning the last series event at Anderson Speedway on May 7th and on April 16th at Toledo Speedway. Coughlin comes into Saturday’s event with a 12 point lead over Dalton Armstrong, winner of the series season opener at Fairgrounds Speedway Nashville, who is also entered for Saturday’s event. Armstrong is the Senneker Performance Rookie of the Year point leader besides being second in series Championship points. Third place in points Wes Griffith Jr. is also entered along with fourth place Tom Woodin and 2013 and 2014 series Champion Travis Braden, who is fifth in series points. Scott Hantz is entered to try and add to his all-time series victory total of 31 wins and his series leading five Baer Field Motorsports Park victories. Brian Campbell is also entered, he was the series leader in victories in 2015 with four and is tied for third now in the series all-time victory total with 18. Grant Quinlan is entered to try and defend his victory from last season with new crew chief Bobby Blount. Other top CRA drivers entered includes Terry Fisher Jr., the current CRA Late Model Sportsman points leader, making his 2016 series debut, also Jordan Pruitt and Hunter Jack and Ryan Issacs who are both entered to make their second ever series starts on Saturday. Ali Kern, the 2013 series Rookie of the Year, is entered to make her 2016 series debut. 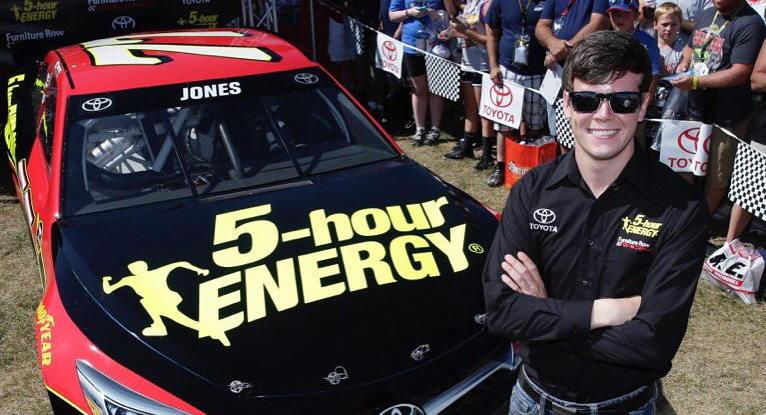 The Kalamazoo Speedway winner from 2015 is racing full-time in the NASCAR K & N Pro East Series in 2016 with the NASCAR Diversity Program. Former CRA regular Tyler Roahrig is entered to make his 2016 series debut. 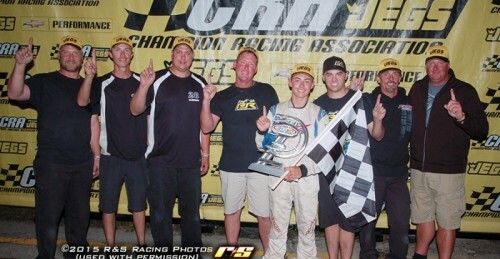 The 2009 series Rookie of the Year has become one of the top Outlaw Late Model competitors in the region and has made several open wheel starts over the past two seasons. Berlin Raceway regular Jerry Munniksma is entered to make his 2016 series debut. There are three drivers entered to make their series debut’s on Saturday including Illinois racers Andy Jones and Tony Scalpelli Jr. and veteran Ohio racer Jason Timmerman, driving for owner Steve Vore, owner of long time CRA sponsor Vore’s Welding & Steel. Timmerman has made selected CRA Late Model Sportsman starts over the past two seasons. There is an open practice scheduled for Friday, pit gates open at 3pm, open practice will go from 4 to 8pm. Pit gates open on Saturday at 12noon. CRA practice will begin at 2:20pm. CRA qualifying will take place at 5:45pm. The race program will begin at 6:30 and will include the Summit City 100 for the ARCA/CRA Super Series. 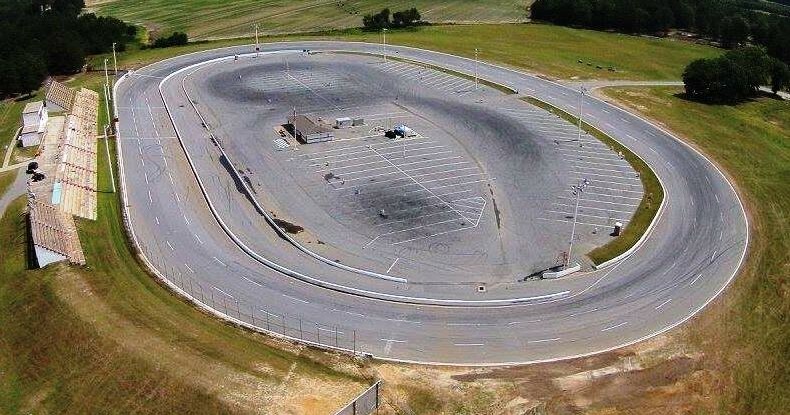 Also racing will be the Baer Field Motorsports Park Stock Compacts, Mini Stocks, Street Stocks and Modifieds. More event information or information on Baer Field Motorsports Park is available at www.baerfieldmotorpark.com.